STIM 2019 projects are summarised below, together with lead researcher contact points, clustered into 6 broad themes: A) Innovation & Design; B) Strategy, Portfolios & Value; C) Strategic IP; D) Digitalisation; E) Roadmapping; and F) Collaboration & Organisation. System Design Characterisation (SDC) is a workshop-based process created from CTM research. There are two options to participate in this project: (a) apply SDC to a new design of systems of products and services in order to clarify design specifications; (b) apply SDC to a new technology in order to clarify the scope of technology deployment. Understanding key dependencies between different perspectives in strategic technology and innovation management is important, such as key programme linkages and synergies. The ‘interlinking grid’ management tool is ideal for this, often used in conjunction with methods such as roadmapping and portfolio management. A new ‘Push-me—Pull-you’ workshop template based will be tested and refined in this research project, combining market / demand ‘pull’ and technology / supply ‘push’ considerations. This is a three-years project, co-funded by the EIT (EU Institute of Innovation and Technology). It aims to develop a process for hackathons to address ‘Grand Challenges’ in the food and beverage industry. The first year the project will focus on identifying a methodology for the selection of Grand Challenges and review the existing knowledge on the topic. Researchers indicate that when the advent of a new technology causes disruption, it is because firms might not have properly reacted and assimilated the signals of change. On one side, they might have missed out on the weak signals (as they might appear in areas which might seem not related to the business); or, more likely than not, they might have downplayed the implications (as initially the commercial implications of a new technology might seem trivial especially for large businesses) or have been slow to apply the required changes to their business models. Having a way to feel prepared to imminent threats could be a proactive approach to reduce the challenges of assimilating intelligence relative to problems and threatening futures. The term ‘value’ has many uses and prior work has included investigations into the different sources of value generated as a result of technology-based production, project and process activities. Identification of the values attributable to the outputs and ways in which the value is captured have been examined. Communicating the value of outputs has also been studied including the use of visualisation to assist in conveying values that cannot easily be communicated by financial measures. A workshop approach to undertaking valuations has been development and this project investigates the use of this approach. Adoption of portfolio management approaches (e.g. selecting ‘right’ projects) and goals (e.g. portfolio balance, value maximisation, strategic alignment) appears to have been adopted in the context of mainly a portfolio of in-house new product or technology development projects. However, with advent of open innovation, firms are increasingly searching for innovative ideas externally and has therefore set up entities like corporate accelerators. These accelerators often face a challenge of selecting the ‘right’ start-ups to accelerate and effective management of portfolios of such start-ups. Following a number of IP (intellectual property) related projects during the past years, we are now aiming for a more concentrated effort to bring IP management and strategy projects together. The STIM – IP Lab brings together people from STIM member companies with IfM academics that have a strong interest in the role of IP in the innovation process for technology, product and service development. Initially, we propose to focus on (i) jointly developing tools for effective IP strategy formulation (e.g. roadmapping) and (ii) novel technologies for better IP decision-making (e.g. AI, machine learning and distributed ledgers, such as Blockchain). This project applies artificial intelligence methods for technology strategic decision making, to predict technological value and impact. The aim is to build a deep learning IP decision support tool, to complement the human judgement and aid the managers making decisions for technology projects, by using advanced computer science algorithms for prediction and classification, which improve human judgement for decisions. This project aims to explore disruptive innovation opportunity based on Intellectual Property data and opinion mining through deep learning. Deep learning helps to detect ‘disruptiveness’ and find contents of disruptive innovations. The suggested algorithm supports practitioners to identify novel opportunities to be disruptive in mainstream market in the future. Many companies are making progress in digitising their infrastructure and physical assets in “digital twins”. However, digitising human work and using these data to optimise performance remain major engineering challenges. With this project we would like to focus on this challenge by exploring and piloting novel approaches and examining their effects on human performance. Data is one of the most valuable resources in companies. This project aims to investigate a) how manufacturing firms can create and capture value from data, and b) the key barriers to implement data projects in manufacturing firms. A tool developed from the research will be used to help firms identify value opportunities from product life cycle data. The cause and effect of the barriers will be analysed. A report published by the World Economic Forum (WEF) estimates that companies world-wide will have spent $1.2 trillion on their digital transformation in 2018 with only 1% achieving or exceeding expectation. Our research suggests that digital transformation has distinct characteristics compared to other organisational change projects and therefore, should be managed in an agile and dynamic way. This preliminary framework helps with exactly that. The aim of this project is to discuss in-company strategic roadmapping experience with STIM member companies. The focus will be mainly on understanding maturity phases, key performance indicators and types of firms in terms of roadmapping implementation and embedding in organisational settings such as business cycles and management systems. 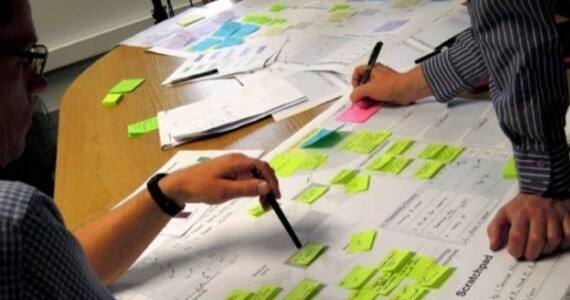 Roadmapping is a widely accepted approach for supporting many strategic and planning activities. To support its further adoption, organisations have started to demand the application of digital tools to enhance data processing and to allow for more effective working in virtual teams. This project intends to explore the application of digital tools to roadmapping workshops in a way that they could leverage the interaction of participants and improve data processing. The research project aims at investigating and explaining, the unique model of University-Industry collaboration developed through STIM Consortium as an Open Innovation Engagement platform. The secondary target is to develop a methodology to benchmark consortium engagement activities over the past six programmes (2013-2018). The IfM is developing a diagnostic for assessing the technology & innovation management (TIM) capabilities within an organisation so that focused improvements can be made. The aim of this project is to investigate the role of organisational culture in innovation and then update the people & organisation part of the TIM Diagnostic as appropriate. Managers overseeing technology developments and related business transformations benefit from engagements – internally and externally. Complexities linked to multiple actor engagements often lead to sub-optimal value-capture from the innovation landscape. The project aims to develop strategic mechanisms to build and influence multiple actor coalitions supporting tech development and transformation.